Osnos, who shared the story and an image of his iPad screen via a tweet, is unable to access his tablet for approximately 48 and half years. 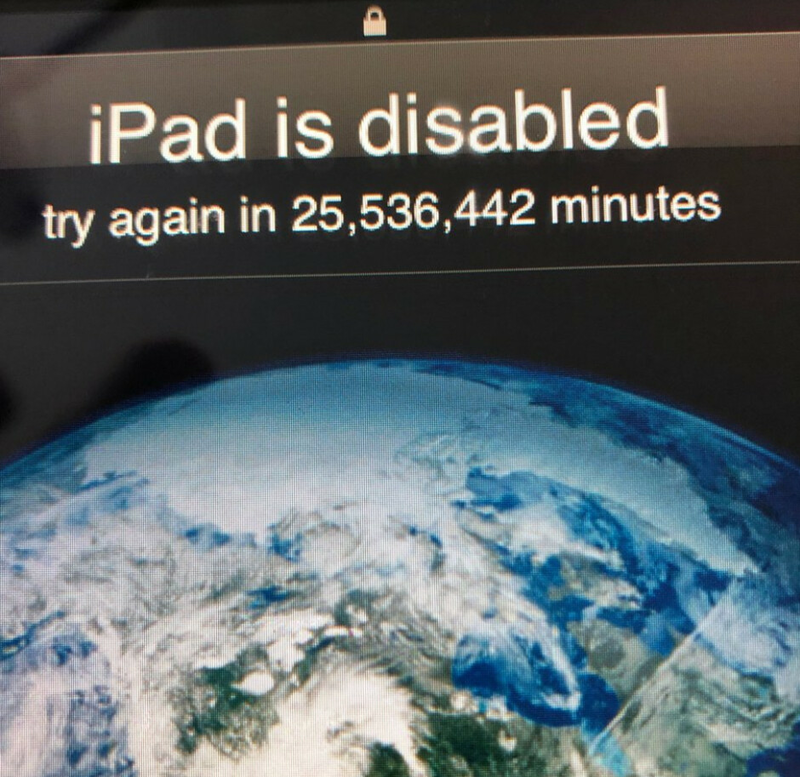 That means that Evan has to wait until October 2067 to punch in his passcode and open up his tablet, if he can even remember his passcode at that time. Here's how it works. After six incorrect attempts to enter a passcode, an iOS device locks down and prevents any more attempts to enter the correct code. This is because iOS sees this as an attempt by a hacker to break into the device (known as a brute force attack). After six attempts, the number of minutes that the devics is locked continues to rise. Depending on the settings, after 10 incorrect attempts, the iPhone or iPad will automatically wipe all stored data. I don't see how this can happen. When you fail to enter the password, you get locked out of possibility to enter the password for 30 seconds. Each time the timeframe doubles or multiplies, but (e.g.) you would have to wait for a day first to try your next attempt and multiply that time. Then you would have to wait for a week before you could try again. Yeah. I thought the same thing. 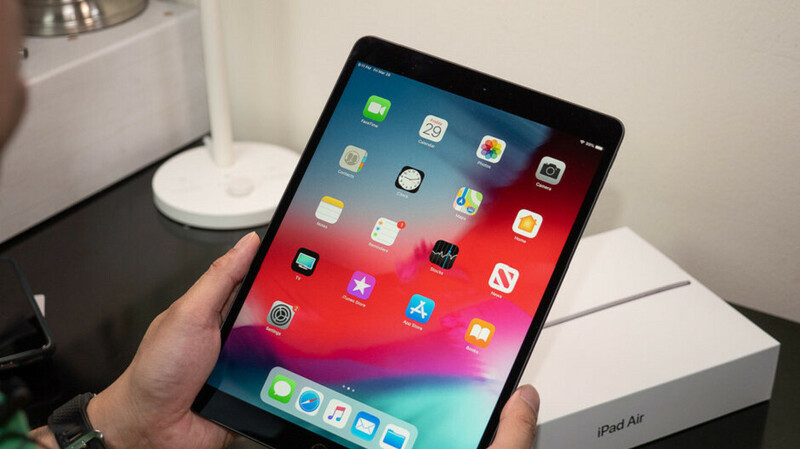 But after seeing the image of the iPad (still using pre-iOS 7) we can assume this was an old iPad no one really cared about and was handed to the kid. Or deliberately locked by the dad. True, but that is not the point. I was just lazy to try it on my iPad, so tested on my op6. Clearly fake story. The only time that happens is when typing in the password incorrectly, then having is disable for a minute. After that, the battery needs to either be unplugged or die for so long that the battery resets to 1970/1971. Not to mention this is iOS 6 or older. Story is fake, picture isn't. NEXT. STORY. Why is everyone so upset about this article? I have had disabled my iPhone recently and had to factory reset it. It was permanently disabled after attempting for few hours. Something is fishy with this story or may be older iOS handled that way. So when something sounds fishy, people do get upset. Welcome to the internet!! It’s a weird story, for sure. I just don’t get all the fighting. Why is everyone labeled a “hater”?